This is our best reBOOT yet and we can’t wait to share all the treasures of the trail and talents of our vibrant community with you. We have over 20 hikes for reBOOTers to pick and choose from, options for unique RECESSes and awesome Elements add-ons. Read on, register and populate your calendar with as many walks, talks, yoga, massage, Little Green recipes as your heart desires. We would love if you would encourage your friends to join but rest assured, whether solo or with your friends, you will leave each Elements reBOOT activity richer for the conversation and quiet. Every day you will receive an Elements email with the nitty gritty details of the upcoming reBOOT walks as well as wisdom and inspiration from the trail. $80: 8 reBOOT walks that suit your schedule. (Yoga RECESS can be registered for a la carte). All registered, reBOOTers will receive an email with exact details of hikes, locations one week prior to start of reboot and then daily email inspiration and updates. Mileage & Trail Conditions: 4 miles. Woodland. Hilly ups and downs. Single Tracks. 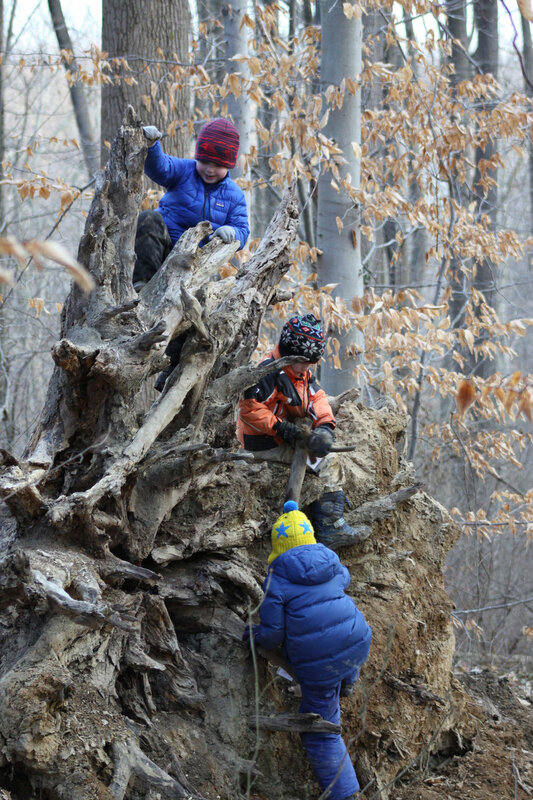 Elements reBOOters & RECESSers will walk the trails of Montrose and Dumbarton Oaks Park. After exploring all the magical nooks and crannies of these spectacular urban treasures, we’ll stop for brief introductions Margaret Rietano of the Elements and Christy Halvorson Ross of Little Green. Mileage and Trail Conditions: 3 miles, hilly ups/downs, some single track, some city sidewalk. Mileage & Trail Conditions: 2 to 3 miles. We will take a slower pace and take time to savor all the woods have to offer. Mileage & Trail Conditions: 1.6 miles. Double track paths. Rooty, rocky and hilly in some parts. Mileage & Trail Conditions: 2-3 miles. Double track path, Rooty, rocky and hilly. More details to be provided upon enrollment. Have additional questions in the meantime? Check out our FAQ and testimonials. And feel free to send us a question! Friend of The Elements D.C., Marianne Panke, is offering reBOOT participants 60-minute massages for $80 and 90 minute massages for $100. This is a discount of over 20%! Contact Marianne to schedule as this offer expires not long after the reBOOT program ends. Friend of the Elements DC, Sarah Hummer is offering reBOOT participants a one hour private or small group yoga session for $60 through 2018. Friend of The Elements D.C., Little Green LLC, is offering reBOOT participants a 10-day Little Green Cleanse during the program. All reBOOTers will get a discount code after registering for The Elements DC reBOOT and can then apply the code when registering directly with Little Green. Visit their website for details. Friend of The Elements D.C., KitchKat, is offering reBOOT participants 10% off her regular rates for the Little Green Cleanse meal prep and delivery during the reBOOT. Click here for a look-see at the 10 day meal plan, delivery & payment details. Kat and Christy have worked closely to create a 10 Day Little Green Meal Plan menu. Containers will be in eco-friendly, biodegradeable, compostable containers. Can’t get much better than that! 6:00 - 7:30: Enjoy an Elements guided walk on the trails of Montrose Park and Dumbarton Oaks Park. Mid route Margaret and Christy will share the “What is the WHY behind Elements and Little Green”. We’d love if you would tell your friends to register for this RECESS too! We will have discount coupons to future Elements and Little Green events available to attendees, as well. What if the weather is yucky? We will skip the ‘walk’ and all meet at Chaia for ‘Tacos & Talk’. Leashed and friendly dogs allowed on this RECESS. This RECESS is the ultimate in sensory bliss. Walk, explore, breathe and move through the unique terrain of Roosevelt Island and awaken those walk-weary muscles (and your mind) with a rejuvenating yoga practice. Relish in the warmth of the sun, the sounds of the birds and the scents of Spring. 9:30 - 10:15: Elements guided hike of Roosevelt Island trails, boardwalks, scenic spurs and monuments. 10:15 - 11:15; Yoga in the elements with Sarah Hummer. by car: Drivers can only reach Theodore Roosevelt Island from the northbound lanes of the George Washington Memorial Parkway. After Memorial Bridge, follow the sign to turn right into the parking lot. Parking: park in a parking lot. What to Wear: Dress for a walk and then yoga. Dress for the elements of the day. If cold, Bundle up; stretchy, warm, wicking layers including hat & gloves. We will practice yoga barefoot unless weather is chilly in which case wear sticky socks or shoes. Inclement Weather plan: Inclement weather date is Thursday, May 9 from 8:30 - 10:30. Join Elements and Betsy Lovejoy for a sunrise guided walk and birding adventure along the Potomac River. We will lead you on a hike through loops A and B of the Billy Goat Trail so that we can enjoy both a good workout and the spring neotropical migrants that flock to the towpath habitat during their journey north. We will be listening for birdsong as we hike and pause long enough to catch sight of these vibrantly colored birds. Betsy will also give some advice along the way as to how to begin to identify birds using certain characteristics. After spending time exercising in the woods with a pair of binoculars you will never go on a trail run or hike again without feeling a deeper awareness, connection and gratitude for nature and all it has to offer. Betsy’s interest in birds came later in life - after years of running trails and a life-long passion for conservation. Betsy has never officially studied ornithology, but the hours she spends running in Rock Creek Park and connecting with nature were the perfect introduction to train herself how to identify birds by both sight and sound. All it took was one Myrtle Yellow-rumped Warbler and she was hooked. Hopefully everyone will come away with their "first bird" that forever hooks them into a lifetime of birding. Mileage; 6 (+/-) miles of rooty and rocky paths. Dress for the weather. Please bring a pair of binoculars and water. Elements will provide mid walk tea and snack, bug spray and sun block. Indulge in an invigorating escape. Venture out of town to the mountains of Virginia for heart pumping hikes, paired with delicious food, yoga and a stay at luxurious, boutique hotels. Join Elements and Liza Gilbert of the Dumbarton Oaks Park Conservancy for a guided walk and talk. Discover the natural and designed treasures of Dumbarton Oaks Park. Liza will share all that has been done by DOPC and the National Park Service to revive the original designs of Beatrice Farrand and why this land is considered an urban oasis for all. "As a “naturalistic,” but intensely designed landscape of meadows, woodlands, bulbs and wildflowers, paths and ponds, and constructed waterfalls, Dumbarton Oaks Park offers recreation as well as restorative quiet, beauty, and inspiration for Washington, DC residents and visitors from beyond." Please meet at 4:15 at the Rose Garden directly across from the Jackson Arts Center on R Street in Georgetown. Mileage; 2 (+/-) miles/27 acres of hilly terrain and at times rooty and rocky paths. Single Sessions are for kids in Pre-K – 5th Grade who want try out The Elements D.C. without committing to the full season. 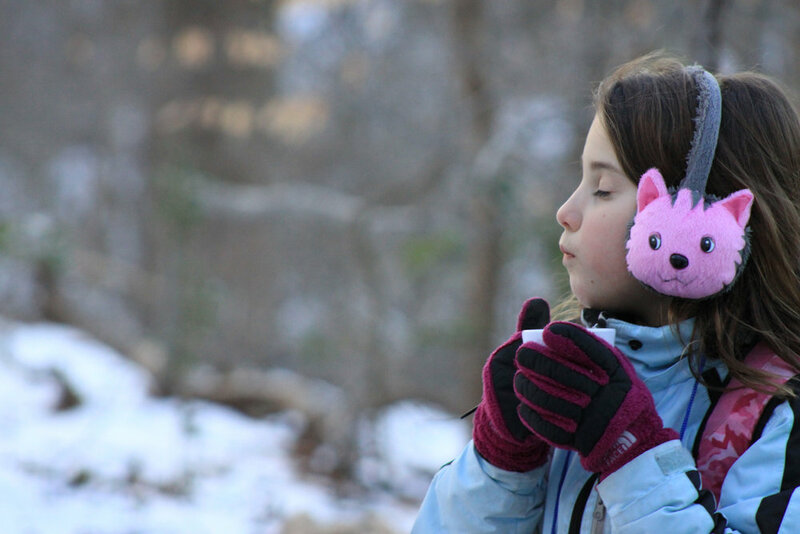 Learn how to supervise youth in the winter woods. Shadow the Crew, tap into your inner leader and have a heck of a lot of fun while experiencing the positive benefits of an afternoon in the wintry woods. We offer Junior Crew every Winter; each Junior Crew program includes as many sessions as each participant can attend (minimum 1 per week). Age: 6th – 8th Graders; We have a limited number of spots for our Junior Crew and priority will go to Elements alums. Please register your child regardless of whether they were an alum. Once we have all interested participants, we will make final roster. Full refunds will go to those who we are unable to accommodate. 4:30 - 5:30: In the woods adventuring, exploring and getting grounded! Orientation: JC’s are invited to attend the pre-season ‘JC Orientation and Crew Season Kick off Celebration’ (hot chocolate and S'mores) on Sunday, January 13, 2019 from 4:30 - 6:30.Location in Cleveland Park neighborhood and details will be relayed as we get closer to start. Weekly commitment: We realize that our JC's can often have busy after-school schedules With that in mind, we allow JC’s to attend as many or as few sessions per week that work for their schedule. You have flexibility and can pick the day(s) that work for you each week. JC's are welcome to arrive to the site at 4:00 for the Crew Brief. 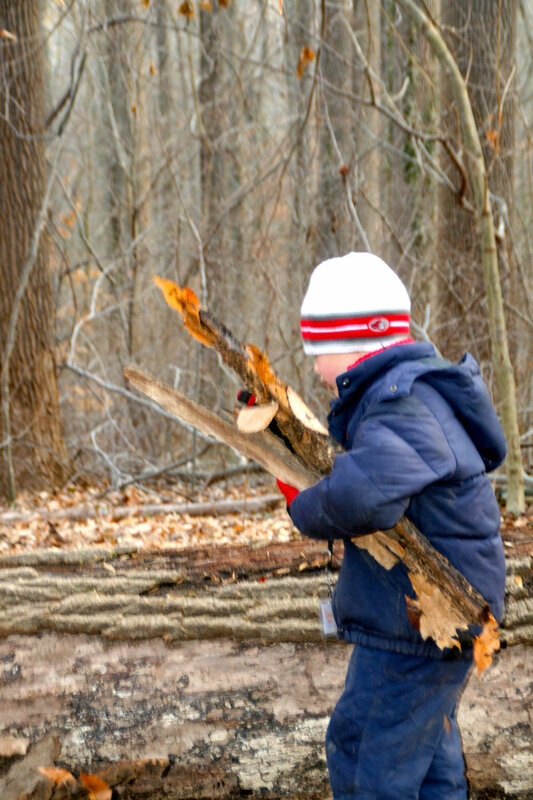 Enrichment: Every few sessions we introduce age appropriate enrichment to our JC's: basic wilderness first aid; intro to survival skills; unique explorers and their adventure stories; leadership skills, etc. JC’s (and JC’s parents) will also enjoy a weekly JC Enrichment letter. At end of season our JC’s embark on a session long, supervised ‘solo’ in the woods; a unique hour to unplug, reflect and connect. What a treat! This is our best reBOOT yet and we can’t wait to share all the treasures of the trail and talents of our vibrant community with you. We have over 20 hikes for reBOOTers to pick and choose from, 3 unique RECESSes and awesome (and new) Elements add-ons. Read on, register and populate your calendar with as many walks, talks, yoga, massage, Little Green recipes as your heart desires. We would love if you would encourage your friends to join but rest assured, whether solo or with your friends, you will leave each walk richer for the conversation and quiet. $75 - 12 reBOOT walks that suit your schedule. RECESSes can be registered for a la carte. Elements reBOOters & RECESSers will walk the trails of Montrose and Dumbarton Oaks Park and then take to the Georgetown sidewalks as we head down to Chaia for discounted ‘Tacos and a Talk”. Speakers will be Margaret Rietano of the Elements and Christy Halvorson Ross of Little Green. This recess is the ultimate in sensory bliss. Walk, breathe and move through asanas while feeling the warmth of sun, hearing the sounds of rushing river and smelling the scents of spring. 8:30 -10:30: Launch from trail head on Potomac Avenue and walk the river trail 1 mile route to our riverside yoga pad where we will be guided through a 50 minute yoga practice lead by Lindsey Truitt (certified yoga instructor). Return journey. Parking: You can park on side streets of Palisades neighborhood for 2 hours. What to Wear: Dress for the weather. What to Bring; yoga mat. The surface where we will practice is concrete. Bring water and sunscreen. The Elements reBOOT is a week devoted to you: a week to get outside and experience unique woodland walks with like-minded friends. No expensive flights, jet lag or shock of reentry, reBOOT right here and let The Elements D.C. lead the way. We’ve crafted a way for you to reBOOT without having to skip a beat, leave town or spend a mint. Each reBOOT is a week long and includes 20+ hiking adventures throughout DC, Maryland, and Northern Virginia. Outings are scheduled throughout each day of the week (see schedule below). You can come on any or all of the walks. Our pace is brisk, but flexible. You can also take advantage of the discounted Elements Add-Ons (see details below). The result? A stronger, healthier, more grounded YOU! Once registered, reBOOTers will have access to exact details of hikes and locations. Mileage & Trail Conditions: 4.6. Woodland. Hilly ups and downs. Single Tracks. Learn about The Elements partner non-profit, City Kids Wilderness Project from 5:30 - 6:30. 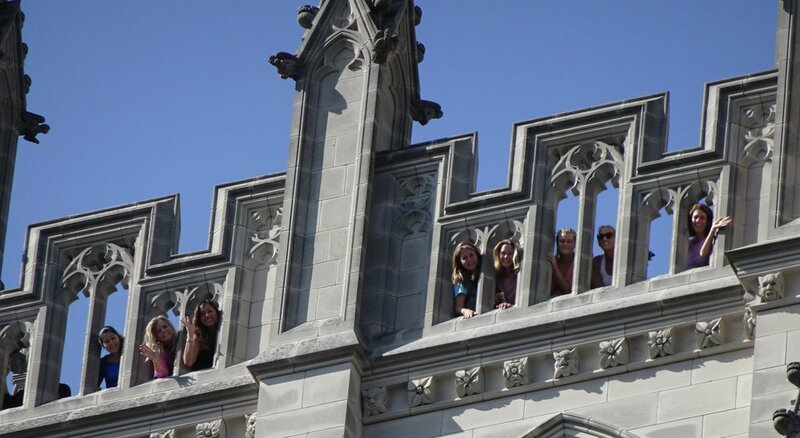 After ‘Impact Tour” the Elements reBOOters will explore Meridian Hill Park and the surrounding neighborhoods. Mileage & Trail Conditions:1.6 miles. Double track paths. Rooty, rocky and hilly in some parts. 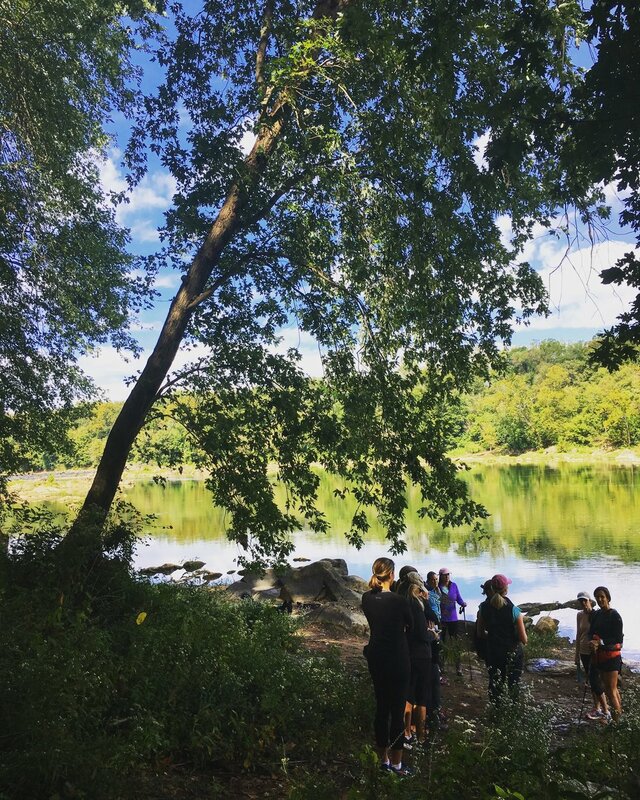 Come spend early Sunday morning with Christy Halvorson Ross (founder of Little Green) and Margaret Rietano (founder of The Elements DC) on a brisk 3 to 4 mile walk through Rock Creek Park's Klingle Valley Trail and the Tregaron Conservancy. Invite your friends and enjoy homemade chai tea. You can experience this as a unique, one-time Sunday morning adventure OR as a preview for the Little Green April Cleanse (April 15-24) and the Elements reBOOT (April 15-21). Many Washingtonians do the two programs together to reBOOT their systems--daily woodland hikes throughout NW DC, VA and MD and detoxing your system with a guided, 10-Day, plant-forward cleanse! What a great way to start spring! Are there ID or minimum age requirements to enter this RECESS? We ask that participants be 18 or over. We will have all sign an Elements waiver at the trail head. What are my transportation/parking options for getting to and from the RECESS? There is 2 hour 'on street' parking but allow a bit of extra time to find a spot. Closest metro stop is at the red line Woodley Station on Connecticut Ave, NW. What can I bring to the RECESS? Running or hiking shoes recommended. Trails are single and double track, sometimes rooty, rocky with hills. Dress for the elements: We will not offer a rain date so dress for the forecasted weather. Friendly dogs on leash are allowed. 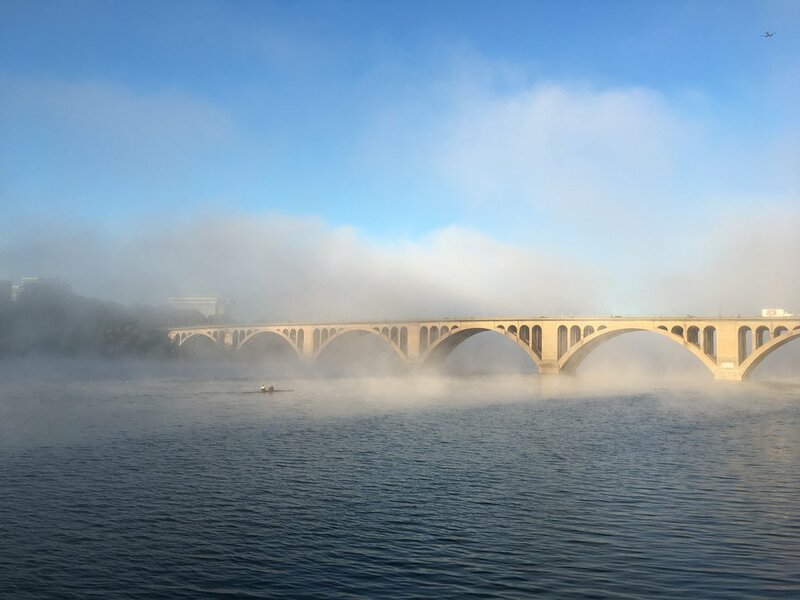 Join Elements for a physically invigorating and mentally stimulating walk along the DC banks of the Potomac River. We will be joined by Mary Vasse of Potomac Conservancy who will share how the Potomac River is in the midst of a comeback, and answer questions about the health of our river, the quality of the water and the profound impact our actions can have on this incredible natural resource in our region. Mileage & Terrain: 4 miles (+/-) of single and double track. At times rooty, rocky and muddy. Research shows that recess is important for kids' academic success. It is a sweet bit of time for students to relax with friends, get fresh air, run around and rest the noggin. Studies show that kids who have outdoor recess perform better in the classroom. So let's practice what is being preached. Join the Elements DC for a few hours of unique, local, adventure. We will get outside, active and grounded and send you back ready to tackle the 'to do's'. Elements Recess will be a couple of hours in length and sprinkled throughout the year. Be sure to subscribe so you can be in the know of an upcoming Recess. Join Elements and Liza Gilbert of the Dumbarton Oaks Park Conservancy for a guided walk and talk. Discover all the tucked away natural and designed treasures of Dumbarton Oaks Park. Liza will share all that has been done by DOPC and the National Park Service to revive the original designs of Beatrice Farrand and why this land is considered an urban oasis for all. 8:30 - 11:30; Brisk warm-up walk to Arlington National Cemetery where we will explore the grounds, observe the 10:00 'Changing of the Guards at the Tomb of the Unknown Soldier' and then walk back to Georgetown. Parking: we encourage you to walk to recess but if you need to drive, you can park on side streets of Georgetown for 2 hours (Zone 2 holders get unlimited time in Georgetown) or use Park Mobile app or park in a parking lot. 11:30 - 1:30; Brisk warm-up walk to Roosevelt Island where we will enjoy Yoga in the Elements with Lindsey Truitt. After yoga, explore Roosevelt Island and return to Georgetown. 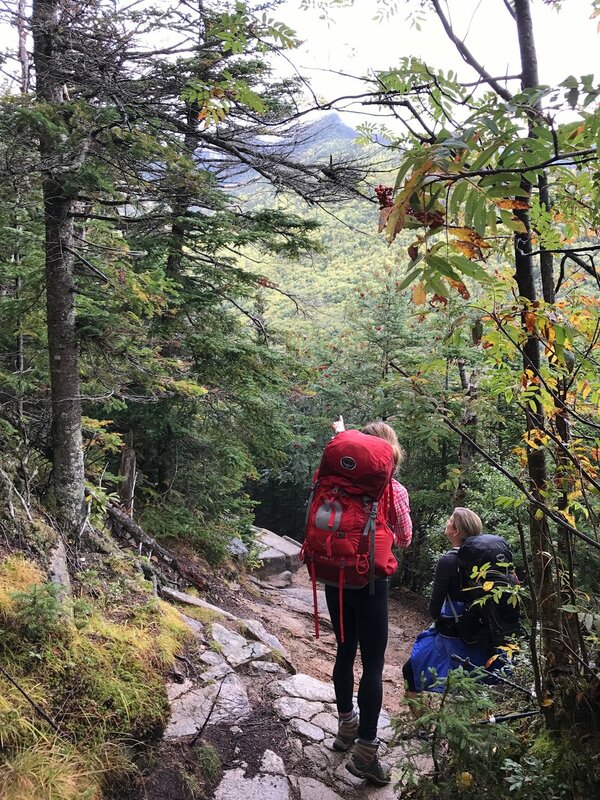 The Elements Lexington Hiking reTREAT includes two days of Elements curated and guided hikes; early morning yoga; trail-head shuttle service and all meals including summit-side, gourmet picnics and dinner at the farm to table Red Hen Restaurant (except for Sunday/Monday reTREATs). We'll provide booking information for a 2-night stay at the Georges, a boutique hotel; cost of hotel is not included in the price of the package. The Elements guides do the heavy lifting, literally — by carrying picnics, maps first aid kits etc, and figuratively by curating the routes so you can focus on the beauty! Our priority is your safety but rest assured, fun, adventure and food are all gunning for second place! We offer reTREATs in both Spring and Fall. See what we have scheduled below, and if there's nothing lined up, subscribe to be notified when enrollment opens for future seasons. 4 – 8:00: Check in at the George’s Hotel. Dinner is en route or on your own. Elements is happy to provide Lexington restaurant suggestions as well as gather as a group if arrivals are around dinner-time. 8:30: Introductions and orientation meeting. Fireside at Taps (the bar at The Georges). 8:30: All-day hike with trail-side lunch provided. Hike will be between 6 & 8 miles with lots of ups and downs, great vistas, ancient stone outcroppings and beautiful foliage. 3:00: Enjoy a much deserved cold beer from local brewery. 4:00: Relax. Get a massage (schedule in advance), take another yoga class, explore Lexington or keep it simple and take a nap until dinner time. 6:00: Hors d'oeuvres and drinks before dinner. 6:45: Early morning walking tour of Lexington with Margaret. 9:00: Hike at Crabtree Falls; a spectacular climb flanked by babbling stream and dramatic waterfalls. Trail-side picnic is provided at summit overlook. The trail is well maintained but expect some steep ups and downs. Mileage approximately 4 miles. Note: Hotel accommodations for 2 nights at The George’s should be reserved and purchased independently (their overnight stays include breakfast). All bar bills and alcohol at cocktails & dinner are to be paid separately.